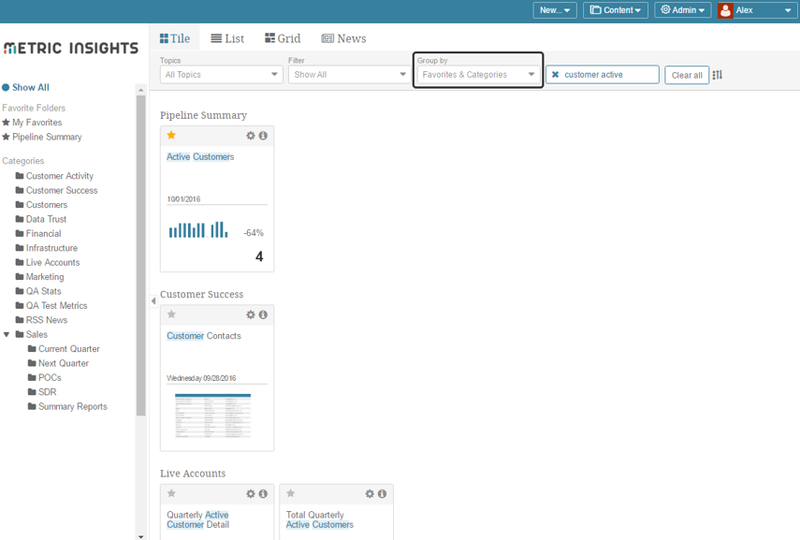 Metric Insight's latest release, 4.2 is now available for use by customers. To help users find content more quickly, we have made search more powerful and inclusive. By default, content is now grouped more logically by Favorites and Categories. NOTE: You can change this setting at My Settings page. The Search is now performed both by element ID, Name and Description (first 400 characters) to make sure you will not miss some required elements which may be relevant but for some reason do not contain required key words in their names. Since more and more Metric Insights users point out the convenience and ease of use of mobile version of application, we devoted a separate tab to Mobile app settings at the Personal preferences. Analyst Insights: a regular mobile app mode, where you get alerted on any value peculiarities according to your subscriptions, review Metrics and Reports, interact with other users by means of collaborative entries (Notes, Comments, Annotations), switch between the Categories, add Events, etc., in other words, this mode allows you to interact with application in a way, similar to a desktop version. Executive Brief: This a simplified version of the app that is effectively static – there is no ability to share content, or comment, or change dimensions, etc. 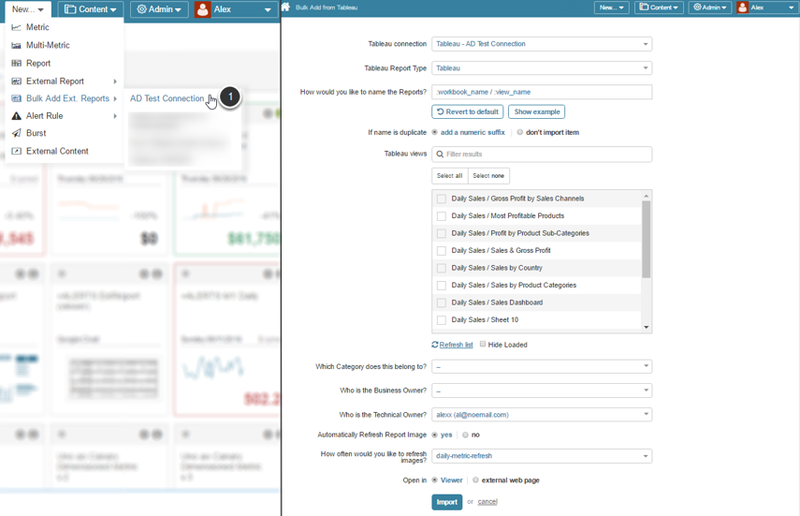 For those that want access to their data at a glance we've included this new view to display only the elements in your Favorite folders - this makes managing the KPIs you care about easy. Metric Insights 4.2 comes with 16 preloaded email templates for every occasion. 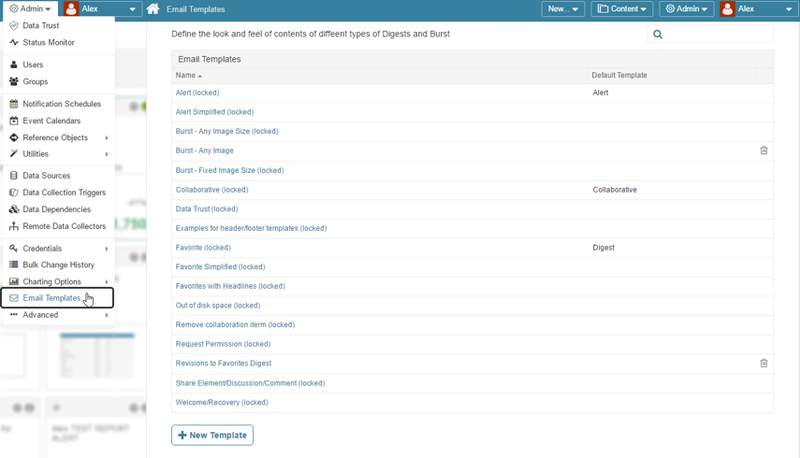 Each of such templates is marked either as locked or default and can be neither edited, nor deleted but you can use them as a basis for creating a new Template. For more details, refer to this article: Creating a new Email Digest Template. To save system's storage capacity and decrease data processing time, a new option has been added to External Reports Editor. New option: On Demand: only when needed for distribution: Individual images are only collected when they need to be included in an email. Option available for Tableau Server with Trusted Authentication: You can choose to generate different images for different users in accordance with their permissions in Tableau server. To activate this setting, make sure that Auth Method parameter is set to 'trusted' in the corresponding Data Source profile as shown in the picture above. In this case, if you share specific dimension with 3 users, each of them having different permissions in Tableau, 3 different images are going to be generated sent to them. Username for Trusted Server Sign-on should be specified at the respective field of the User Editor. If Tableau is not able to identify this user, the default plugin image will be sent to him instead. To access an updated page, go to New > Bulk Add Ext. Reports > select a connection. For more details refer to this article: Bulk-loading of External Reports. Event Calendars are associated with Metrics in several ways: individually, via Measures, Topics or Categories. Please note that in previous versions you could apply an Event Calendar to specific entities at Event Calendar Editor > Event Calendar Information tab. In version 4.2 we have moved this field to the Associated Metrics tab. This page is now changing dynamically depending on your selection. For more details refer to this article: Associate an Event Calendar with a Metric. Visible changes: Whenever you perform any changes to some of the variables, their rows are highlighted red and their text pulses. All notifications are now configured on the Notifications tab by clicking the Gear icon. 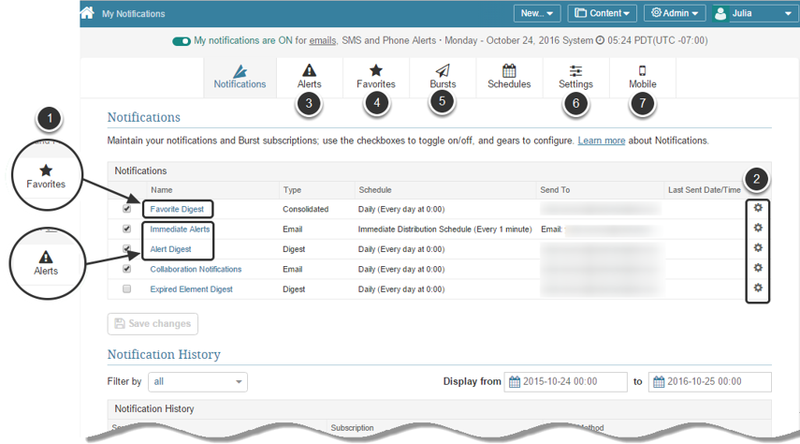 Alerts tab: Includes a list of elements with the Alert rules a User is subscribed to. New Subscriptions can be created from this tab. To make any subscription changes, go to the Notifications tab and click the Gear icon. Favorites tab: Contains a list of shared Favorite folders. Existing favorite folders can be edited and new ones can be created. To make any subscription changes, go to the Notifications tab and click the Gear icon. Bursts tab: Lists all bursts you have created or subscribed to. To make any subscription changes, go to the Notifications tab and click the Gear icon. Settings: Lists user's personal information and Homepage / Mobile display preferences. Metric Insights is gradually becoming more customizable in order to seamlessly integrate with your unified company design or simply fit your branding guidelines. In current version we demonstrate this capability with a new dark theme which controls colors and basic system stylesheets. To request a custom theme that will fit your brand style, contact our support team at support@metricinsights.com. Druid plugin: The new plugin accepts queries in JSON format, but generates errors, even though the queries appear to be valid. mi-update Issue: When updating the system to a specific version via mi-update, the system may not find the defined version and may show an error. This is being fixed. Automatic https://: Since secure connection is often used to connect to the page with external content, if the External Content URL has been specified without http:// or https:// , in this case https:// is added automatically. Multi-Metric: Since multi-metrics display a lot of information aggregated form regular metrics, they manage information from more columns. When download Chart and Data as a PDF file, columns may exceed PDF width. Bursting: While attempting to send a Burst to its owner it was being erroneously sent to the person currently logged in, instead of the owner. Related elements: When a user was trying to open some External Report or other External Content from the See Related drop-down list, he was sent to the external page instead of the element Viewer, despite the settings defined. Favorites: The User Maintains Own Content? option for Favorite folders was not respected. Even when this option was set to 'no', users could still attempt to manage the folder content by opening the Add/ Remove Tiles pop-up. This has been fixed. An issue with Y-axis: The y-axis range did not adjust for Stoplight view, meaning that if there was a spike in the data outside of the range, the rest of the chart became flat. Event Calendars: Event calendar were showing data incorrectly after changing. After the query for Event Calendars was being changed, the results set still displayed the data that was supposed to be deleted.